In March we at IAwrestle recapped Iowa’s 2017-18 campaign and gave a brief look ahead to what the future held for the Hawkeye lineup. While four months is just a small amount of time relatively, the outlook of Iowa’s lineup has seen some drastic changes. With two impact transfers announcing their move to Iowa City, rumors swirling that another one of Iowa’s starters is changing weights, and another key wrestler in a pending legal situation. With so much changed from our March look ahead we decided to revisit what the Iowa lineup holds for the future looking to next year and beyond. What hasn’t changed from March is that Iowa only graduates one starter from last year’s team, four-time All-American Brandon Sorensen. The Hawkeyes are still well position to replace him with another wrestler with NCAA experience in Pat Lugo. The first big news item appears to be that Michael Kemerer is on his way up. A couple of weight classes. The coaches have joked about the change on Twitter, last year’s 174 starter Joey Gunther announced he will be transferring to Illinois, and Kemerer just looks plain bigger than he was a year ago. 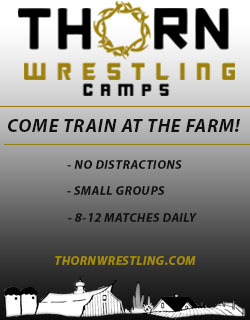 The only thing left to solidify the move is either Kemerer or Tom Brands confirming the change – which Brands danced around in an interview with the Des Moines Register. No one blames the head Hawkeye for doing so either. The interview took place in June which means there is a lot of time between now and the first match of the season. For our purposes we fully buy Kemerer is on the way up for next season. The second big news centers around heavyweight Sam Stoll, who suffered an accidental gunshot wound and was later charged with false report to public entity by the Iowa City Police. According to Brands Stoll successfully underwent surgery and was then released shortly after receiving the wound. For the most part next year’s lineup is straight forward. The known quantities are returning All-Americans Spencer Lee and Alex Marinelli who have their positions locked down. Stoll would have been in this category, and depending on the recovery of his injury and any pending legal action, may still be in this group. If not freshman Aaron Costello is the next available wrestler at this weight, and the class of 2018 has incoming recruit Tony Cassioppi. U23 All-American Cash Wilcke was down at 86 kg this summer, which gives more evidence that he will indeed be headed back down to 184 to make room for Jacob Warner. The star freshman will compete later this summer at the Junior World Championships. 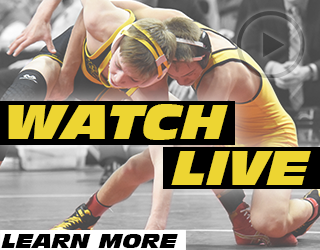 The first change to the lineup is at 133 where Iowa landed a pair of transfers in Austin DeSanto (from Drexel) and Jason Renteria (from Nebraska). Both qualified for the NCAA tournament in 2018 and both completed their true freshman seasons. Regardless of who wins the starting spot, both have the option to redshirt and save a year of eligibility. After the season it looked like last year starter Paul Glynn would be the man for Iowa at this weight and after seeing his progression from his freshman to sophomore season, we we’re not discounting his chances next year. The next question centers around who fills Kemerer’s spot at 157 when he moves to 174. The answer may be a flip-flop situation as freshman Kaleb Young looks to be a legit option after he himself wrestled at 174 last season. He competed down at 74 kg (163 pounds) at U23’s in June, which is some evidence that he is on his way down. If not we could see Jeren Glosser, who we expected to contend with Lugo at 149, attempt to move up a weight for the starting spot. Chances are it will be some time before the 141 battle resolves itself next season. That fact itself hasn’t changed, though freshman Max Murin had a great freestyle season making the finals of the Junior US Open in Vegas. 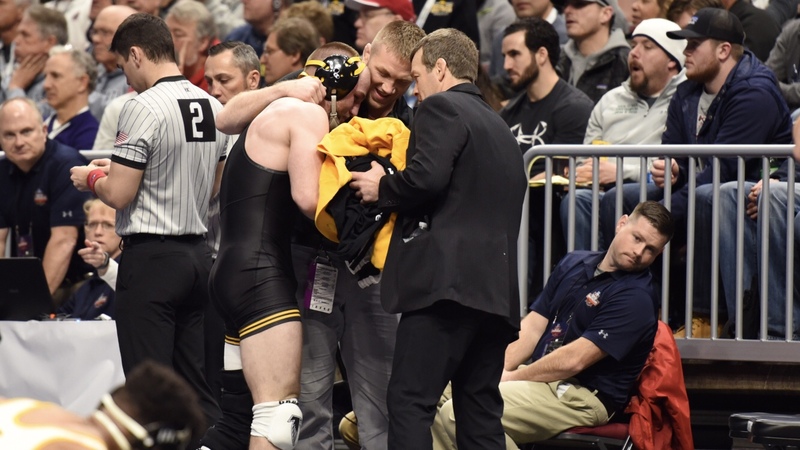 The 2020 season seems to be a year that Iowa could be well positioned to contend for a national title, returning virtually every wrestler from the previous year’s lineup. 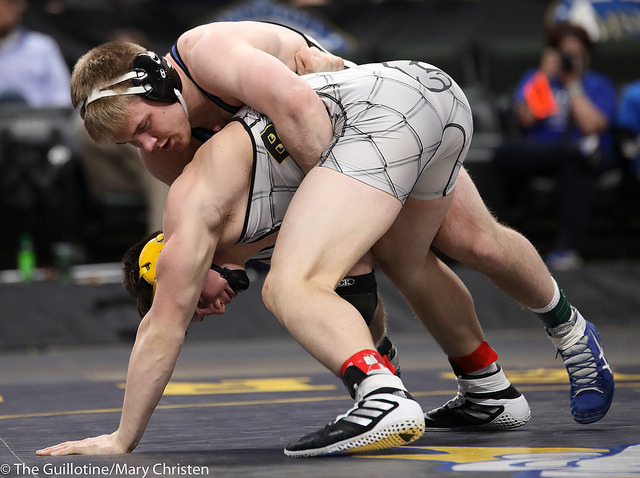 The only wrestler not returning for this season would be Stoll, but Iowa should have a pair of promising options ready to step into the lineup. 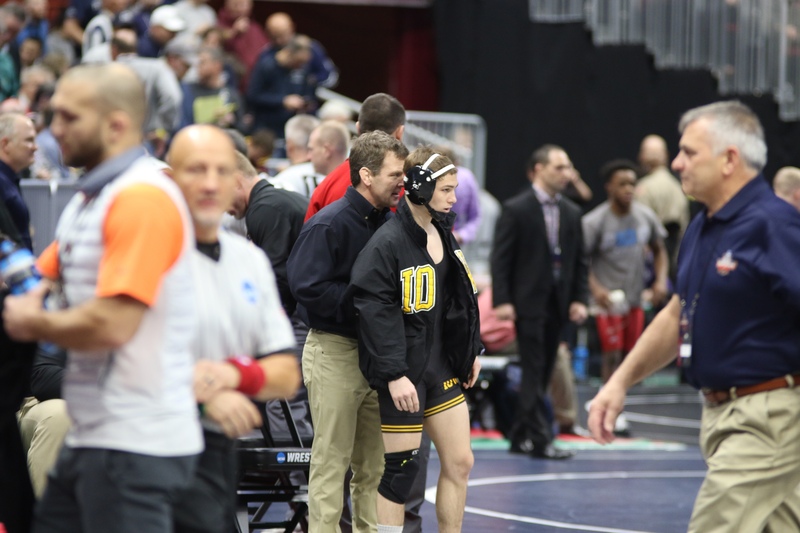 Freshman Costello has made strides since entering the Iowa room last fall and Tony Cassioppi is a highly credentialed 2018 recruit. Depending how Stoll’s off season news shakes out there is the possibility that one of these wrestlers has some legitimate starting experience to begin the season. This team will also have quite a bit of depth. In addition to Renteria and DeSanto manning 133, late 2018 addition Aaron Cashman will be coming off of redshirt as well and will bolster the lightweights. Also coming off a redshirt will be Nelson Brands who has been projected anywhere in the 157-174 range. This is also our obligatory Olympic year mention so its possible that Lee could use the Olympic redshirt option to make a run for USA’s Tokyo team. 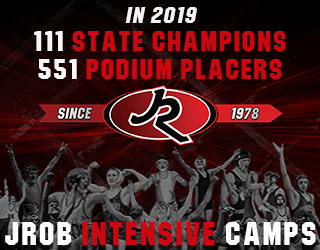 Given Kyle Snyder’s success at Ohio State and the fact that he opted to compete in both college and freestyle simultaneously it wouldn’t be surprising if Lee decided to forgo the Olympic redshirt, especially with a team title in Iowa’s sights. We end with three years out from now. Given how much Iowa’s projected lineup changed from March to July this is far from certain, but this is an early outlook. With the new transfer rule and possible weight changes for several guys this lineup could very fluid at the lighter weights. Both DeSanto and Renteria could grow into 141 at some point in the career, and this year (2020-21) seems the most likely for the changes to happen since Turk will have graduated and Murin moving to 149 seems to be a real possibility to take over Lugo’s spot in the lineup. Entering the offseason it looked like Iowa was going to have a hole to fill at 174 with no one projecting at that weight currently in the room or in the 2018. That’s now drastically changed with the commitment of Minnesota duo Patrick Kennedy and Zach Glazier announcing their verbals to the program this summer. Glaizer would be a redshirt freshman and projects at 174 and 184 pounds. Kennedy is a true blue chip recruit in the class of 2020 so he would only be a true freshman. Kennedy currently projects 165 all the way to 184. 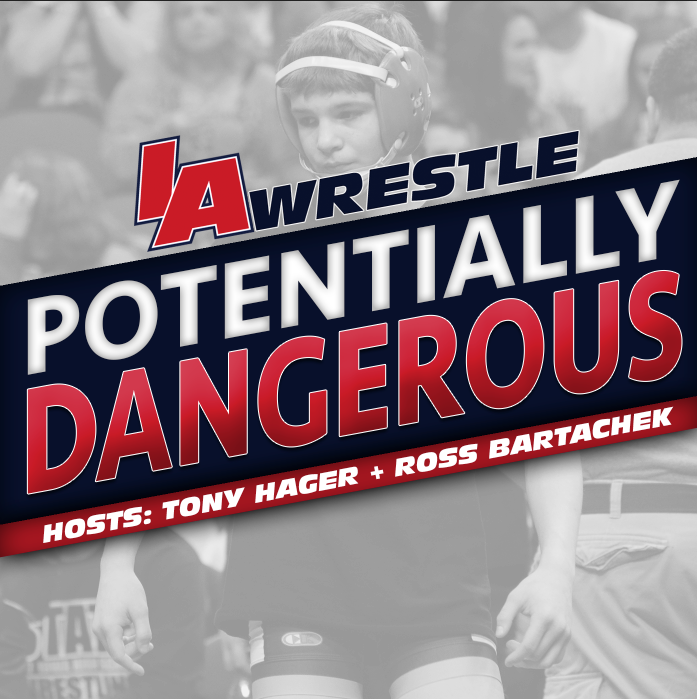 Currently Iowa appears to be well stocked through the first four weights in the lineup with Lee, DeSanto, and Renteria all being underclassmen, a trio of contenders at 141, and at least set for two years at 149 in Lugo. Iowa has already made impressive headway with their biggest perceived hole in the upper weights. It wouldn’t be surprising to see Iowa try and land a bigger name in the middle weights in the 2019 class. At minimum to provide insurance that Young and Brands are not long term solutions at 157 due to being too big for the weight. August 1, 2018 in Iowa Hawkeyes.